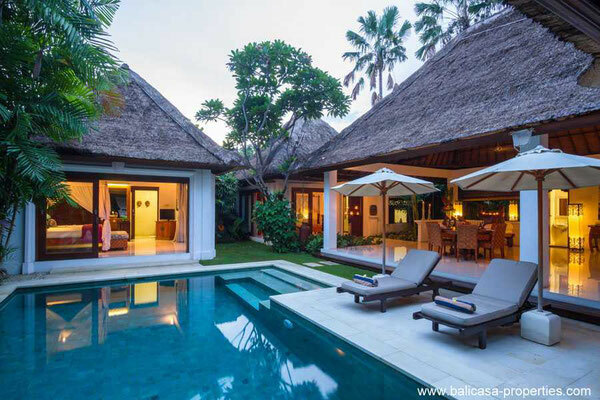 After entering, you will find the large open living on your right side. 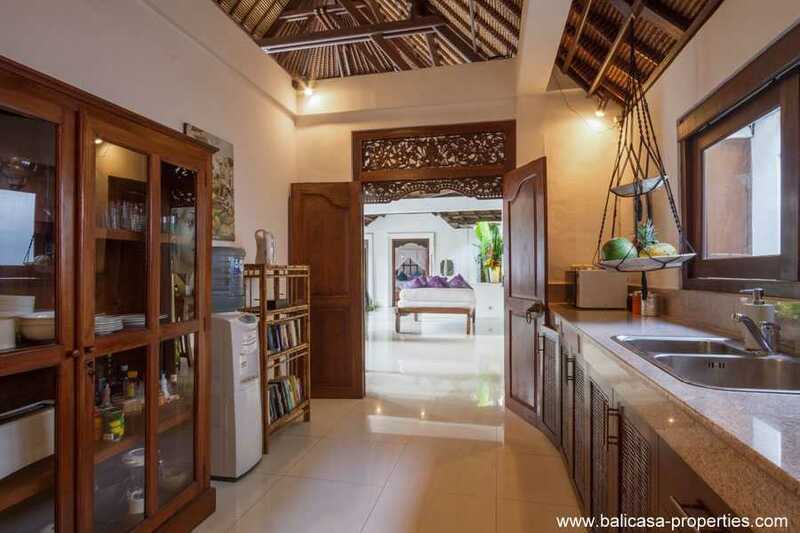 A spacious open room with in a far corner a separate kitchen area. This complete kitchen makes it possible to prepare your own meals. 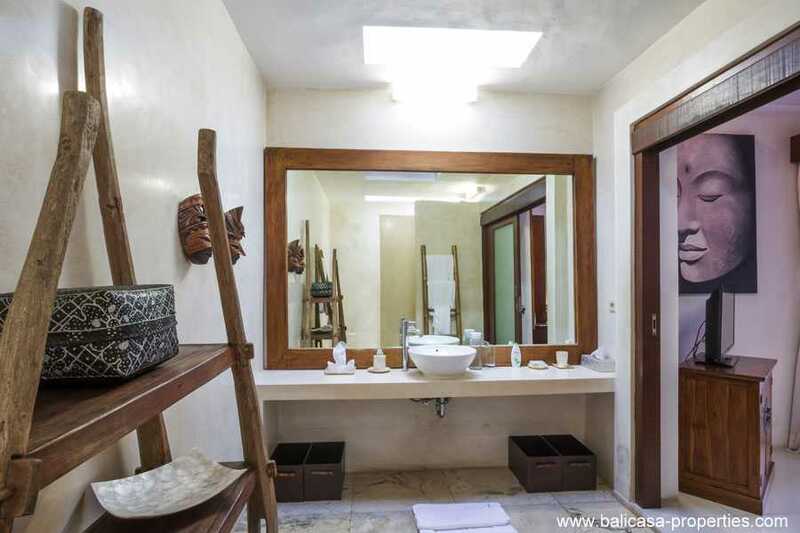 A guest toilet is finalizing this living area. 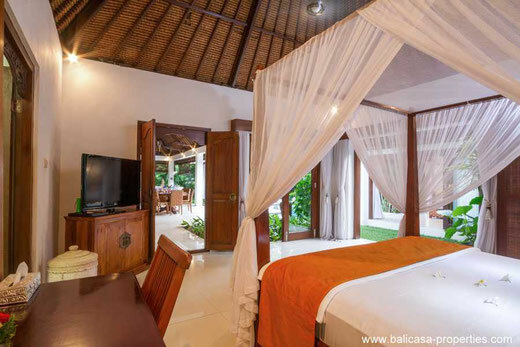 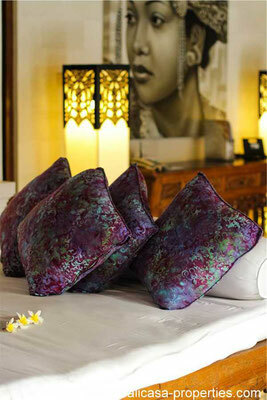 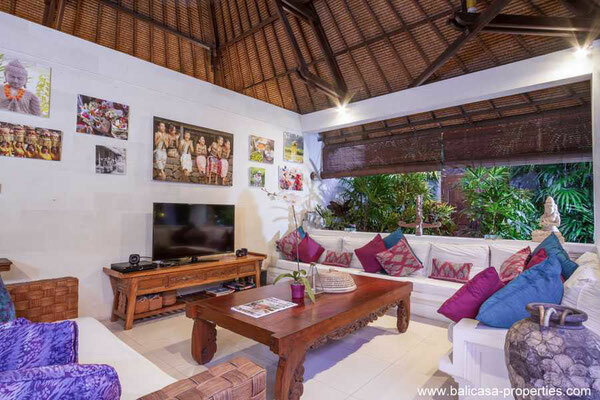 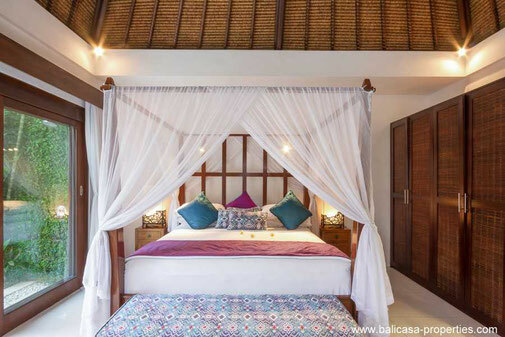 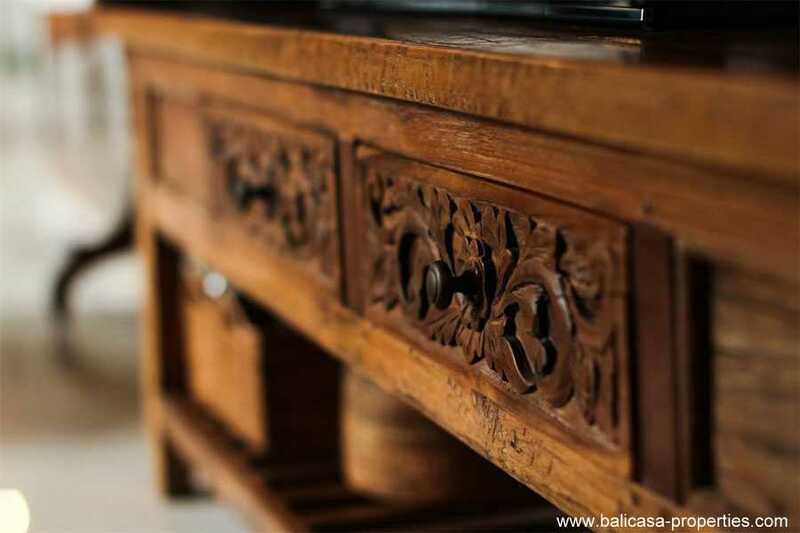 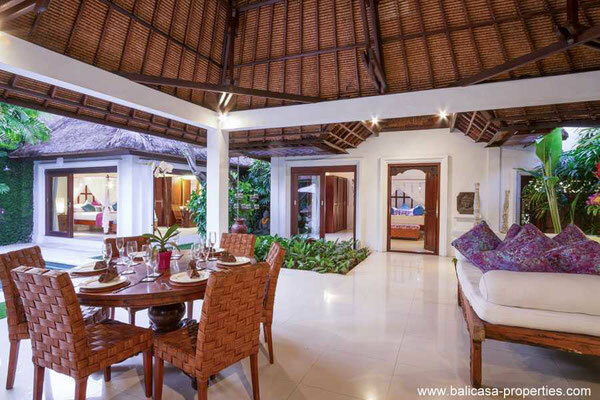 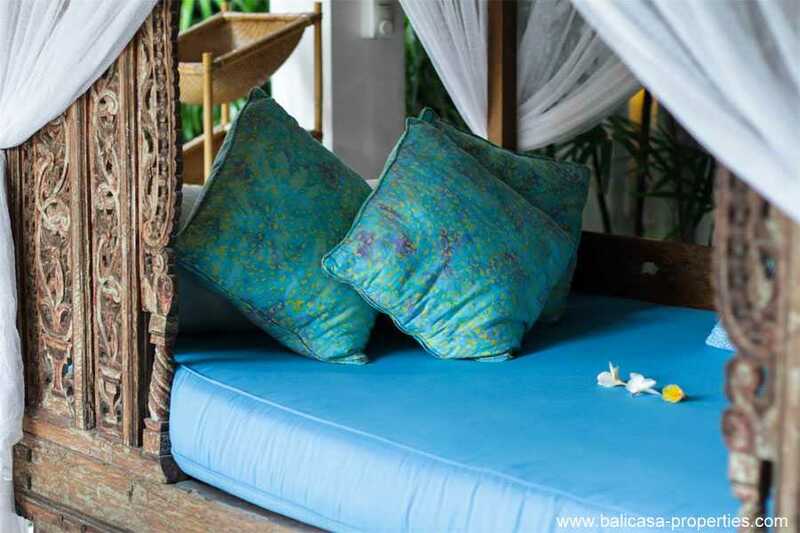 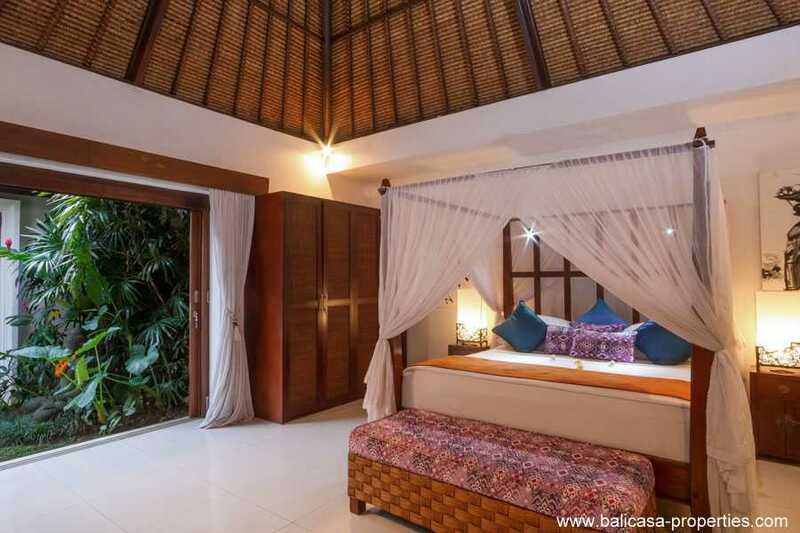 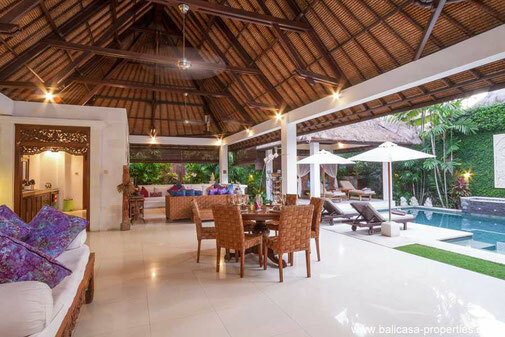 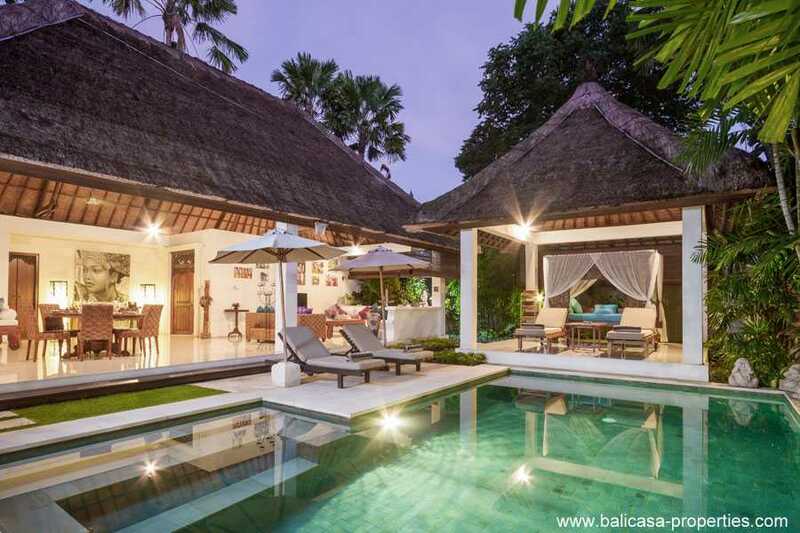 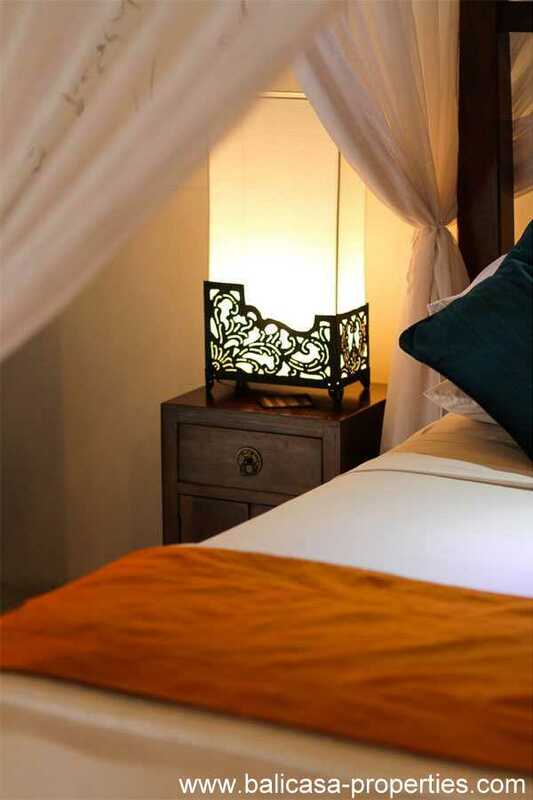 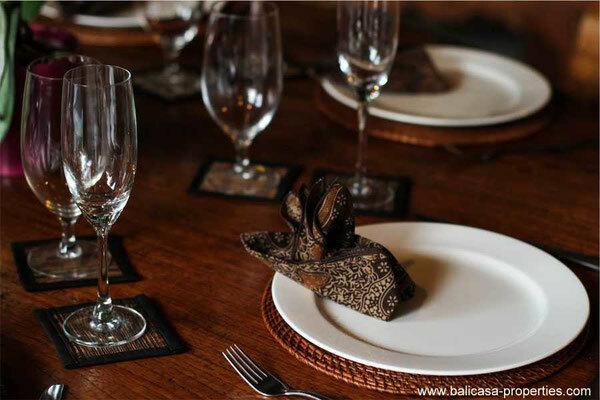 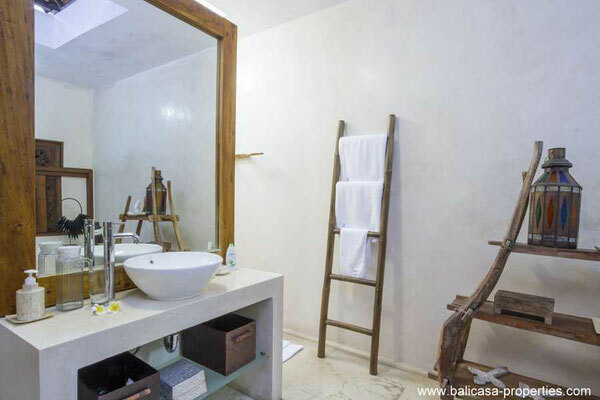 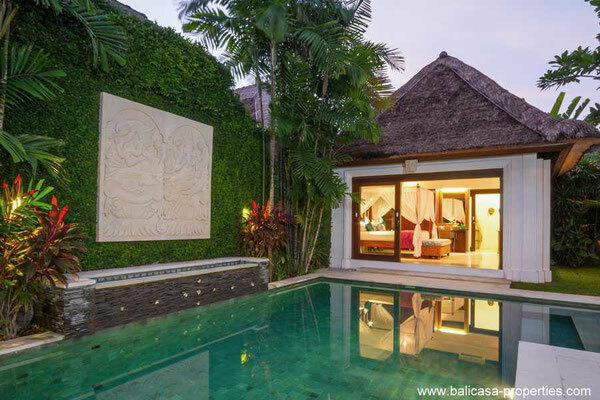 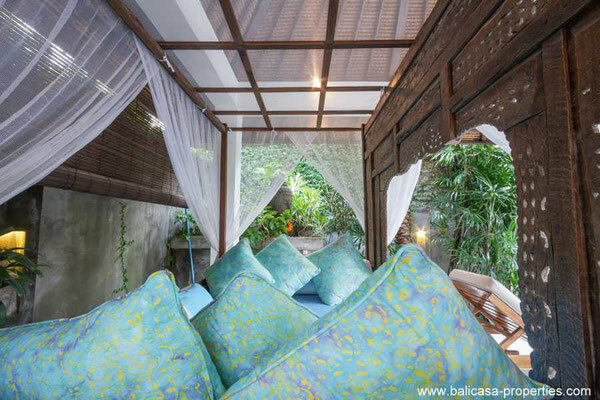 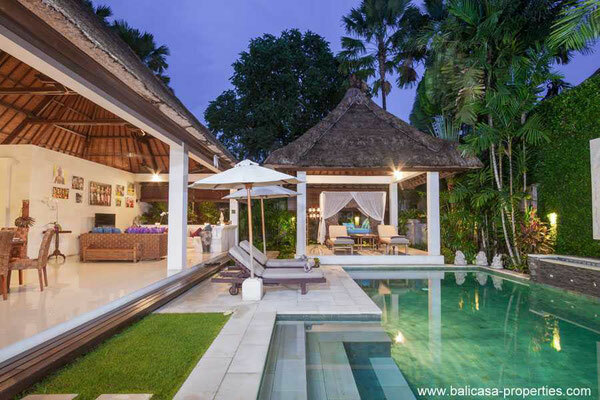 The villa is located near Jalan Arjuna and it only takes a short stroll to find the restaurants and beaches. 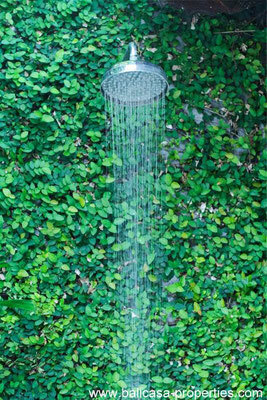 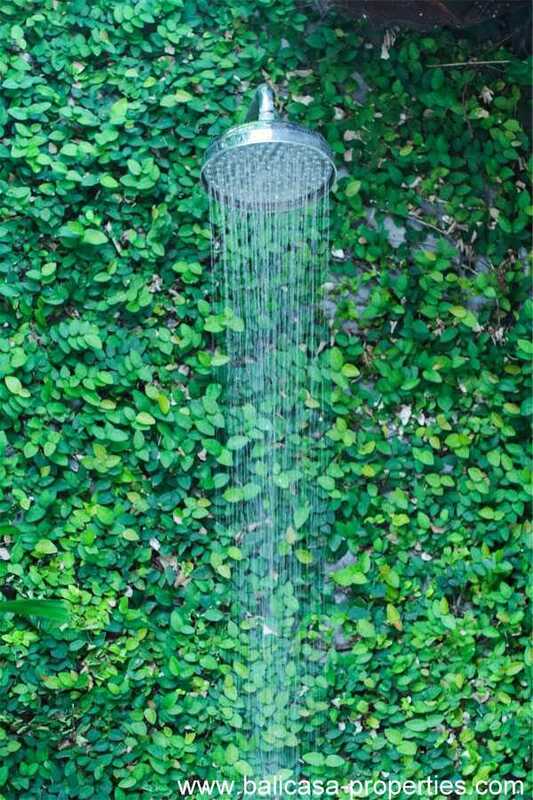 A very convenient place as most of the facilities can be found on a walking distance. 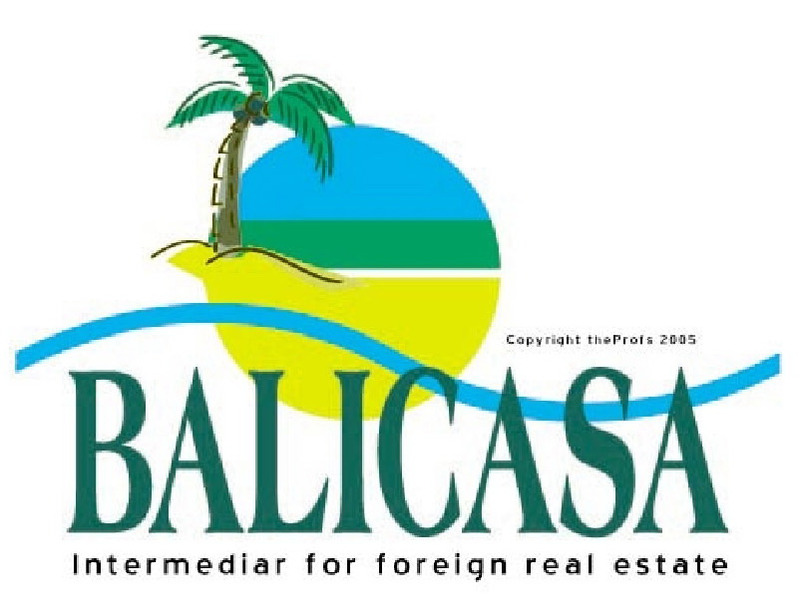 This villa resort has been up and running since 2008 with excellent bookings and good returns for their owners. 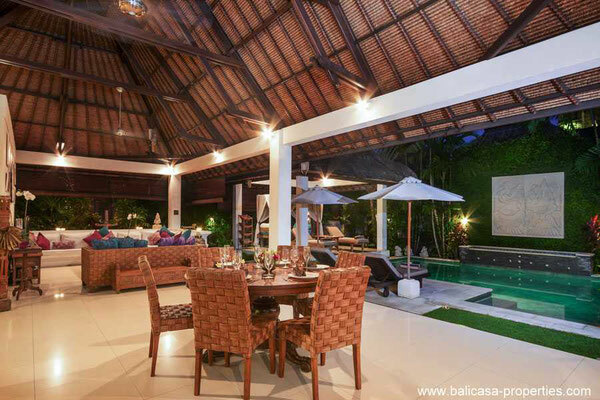 The villas are also quite unique as most villa complexes tie the owners into a 21 night maximum use & paying for any extra nights. Most of the owners of this complex use their own villas for up to 60 nights per year with a cap of 90 before Tax & Service fees etc are incurred - This is for owners & immediate family use only - If you wish to take bookings yourself, the management ask you to respect their current rates less the 15% commission/referral fee, otherwise it undermines the value of the property.